With the ever-looming threat of Brexit on the horizon, it’s no surprise that it was this topic that dominated the ICMSA’s AGM. The Irish Creamery and Milk Suppliers Association chose Limerick for this year’s meeting, which was attended by a number of important guests including the Minister for Agriculture and the European Commissioner for Agriculture. This week’s podcast brings a flavour of that (from 10:23). 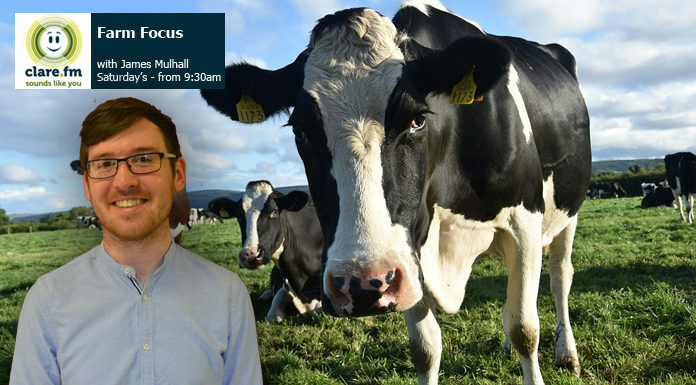 Also in this week’s show we have your mart report from Ennis (9:11) and in our weekly Teagasc slot, Paula O’Leary joins us to talk cross compliance (1:08). Get in touch! Email [email protected] if you’ve got a story to tell.